"Why would you make candles that look like candy corn? Whose fault is this really?" Everything that a pup could do wrong on Halloween, these dogs did. Most involve eating, all result in shaming. 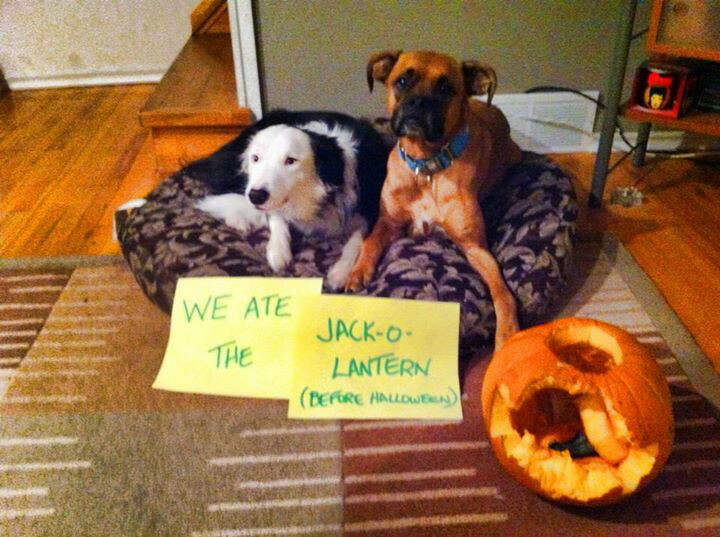 If your pup is trickin’ instead of treatin’ this Halloween, make sure to snap a pic and contribute to the Dog Shaming collection. Happy Howlloween! For more dogshaming pics, check out dogshaming.com and the Dog Shaming book!